$6 was put up for this Street Boss gelding trained by Eurell. Almost fell off me seat when I saw the odds and smashed it. Really keen to follow this horse's career, think he could be very good. His formline has winning form all around it and IMO is the good thing of the day. Interesting ride... thought he rode him a treat. Not good enough today. 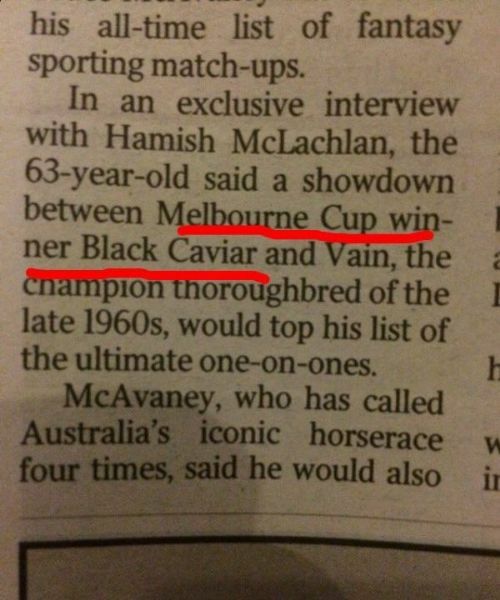 Being a Hancox i imagine he didn't cost too much as a yearling? Indeed, nice ride by Oli too. Stable was confident and Lizzie picked him on looks. He was there to be run down but showed great g 'n d.
$40k - rather more than she usually pays. But money well spent it'd appear. 3bm, what is Lizzie's background? She's rather different and far better imo than the phalanx of mounting yard "experts" who inevitably reckon the favoured horses are the ones that look best. Super effort & hopefully a horse with plenty of upside being a Street Boss. He has about 800 owners so surely a few'lurkers' here have an interest. Anyone care to put their hand up? There surely must be a couple Gay. Though it does appear that TBV veteran Rosscoe has only bought into Shelley's slower ones. ps don't take that comment too seriously Mr McG. Caulfield Guineas hopes are alive for connections of lightly raced Urban Ruler who has returned to racing with a win at Sandown. The Greg Eurell-trained Urban Ruler stepped out for just his third start, and first as a three-year-old, in Wednesday's Grand Hotel Frankston Handicap (1300m) and led all the way. Eurell has nominated the gelding for the Caulfield Guineas and the trainer's assistant Jim Mason indicated he would be given his chance to get to the Group One 1600m-race in October. "He's always shown good ability and Greg nominated him for all the major races," Mason said. "So hopefully he keeps stepping up. "His next run will probably be in the Guineas Prelude." Urban Ruler overcame difficulties to win at Ballarat on debut in March before finishing fifth in the VOBIS Gold Ingot at Caulfield in April. He is at $35 for the Guineas after Wednesday's win. With Damien Oliver aboard, Urban Ruler took up the running and had plenty in the tank late to stave off Peeking Duck to win by three quarters of a length with the same margin to Canalasso third. Mason said they would not get carried away with a midweek win but said it was important the gelding got the job done at Sandown. Oliver said it wasn't his plan to lead but said when Urban Ruler landed there early in the race he didn't want to relinquish the position. "It felt like he controlled the race nicely but it did feel a bit foreign to him in front," he said. "He's still a bit new in only his third start and had a good look around, but he responded well when I needed him." Oliver believes Urban Ruler will be better with more experience and with something to chase. "I think at this time of year if they're in and ready you've got to keep raising the bar to see how they stand up, because you never know. They can keep improving," he said. English, started with DHayes SC. Has a very good eye for condition, although so did Sam. Having a job travelling to exotic locations such as Dubai and Hong Kong would be an ideal life style for most young women but throw in the proviso that the main object of their attention over many weeks overseas, not to mention the hundreds of hours of long distance flying, will be a 500kgs thoroughbred racehorse and the prospect does not seem so exciting. But don’t suggest that to Lizzie Jelfs the travelling groom and regular track rider for David Hayes, one of the world’s most acclaimed trainers. The 26 year-old attractive blonde, who grew up in England before moving to Australia about eight years ago, would not swap her job for anything. “I just love being around horses and I really appreciate the opportunity David has giving me’’ Jelfs said at the Meydan international stables where she is looking after Eagle Falls who is running in Saturday’s Dubai Golden Shaheen, sponsored by Gulf News. It is her second trip to Dubai and she has also being to Hong Kong four times as well as Singapore, New Zealand and England, where she at least had a chance to catch up with family. Although she does not come from a racing family, Jelfs grew up around horses of the recreational variety. “I was involved in a pony club when I was a kid and riding has always been part of my life while my friends were going off and becoming doctors and lawyers and the like’’ she said. The family home is in Oxford and when she was 15, Jelfs went off to work as a stablehand for Lambourn trainer Charlie Egerton. At that stage, her ambition was to become a jockey but “I don’t think he (Egerton) thought I was good enough’’ she said. It was Egerton who suggested she should go to Australia where there seemed to be more opportunities for female jockeys and he arranged an interview for her with Hayes. However, she soon found out that she had to be an Australian citizen to become an apprentice jockey and instead became a groom with the Hayes’ stable. Her ability with horses as well as the love for the animals soon became apparent and its was not long before she began taking on more important tasks. Hayes had no hesitation in sending her overseas alone with some of the stable’s best horses and on those trips she usually also acts as track rider so her responsibilities are high. When she is back in Australia, Jelfs is now based at Hayes’ Sydney stable at Randwick where she is more or less in charge. Jelfs is well aware of the vagaries of racing and the problems of handling highly-strung thoroughbreds but it is still hard to deal with the unforeseen disasters that sometimes crop up. Such as the sudden death as the result of what should have been a relatively simple gelding procedure of the highly-rated Irish horse Changingoftheguard who was to be Hayes’ main contender for this year’s 150th Melbourne Cup. Jelfs had spent weeks in quarantine in England with the horse before he went to Australia last October and then looked after him in quarantine again. It was a bitter blow to Jelfs and the stable, not to mention the new owners who had paid around AU$1 million for Changingoftheguard, when the horse had to be put down humanely. Now she has moved onto a new charge in Eagle Falls and success on Saturday would be a worthy reward for her efforts over the past eight years. Looks set to run in a 1400m stakes race at Flemington Saturday. Be interesting to see if they let him roll along out in front or ride him just off the speed. He's a horse going places but obviously has a few qwerks. Not sure if Oli is riding him again but Greg Eurell will surely iron them out. I'll be on this weekend. Love this guy. 1) Win what you can while you can = lead. 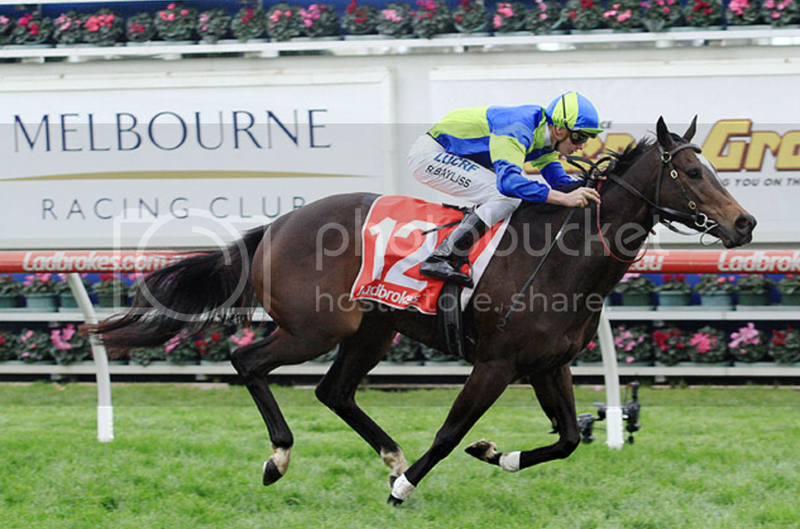 2) Caulfield Guineas as the target = ride quiet. Yep. I don't think they are planning on the CG unless he stamps himself as a genuine contender but would need to really win with authority for Eurell to push on. He's got big wraps on him but I remember him saying that they will not push the horse. If he's had enough then they'll pull the plug. Have a look at the tape, was gone a dozen times up the straight but just kept bobbing up and down to nail them on the post. 2 on the trot mate. 5 from 11. Good things for a good bloke PT. But wait a minute, where was the tip? Going to be a tough ask, but this is going to be a great little test for him. Thomas Sadler (Urban Ruler) - pleaded guilty to a charge of careless riding under the provisions of AR137(a), the carelessness being that near the 1400m he permitted his mount to shift in when not sufficiently clear of First Approach resulting in that gelding having to be steadied to avoid the heels of Urban Ruler. Thomas Sadler had his licence to ride in races suspended for a period to commence at midnight July 8th and to expire at midnight July 17th, a total of nine race meetings (two metropolitan, seven provincial). In assessing penalty Stewards took into account his guilty plea and that the carelessness was in the low range. Thomas Sadler (Urban Ruler) - found guilty of a charge of improper riding under the provisions of AR137(a), the improper riding being that near the 800m he rode his mount in and thereby forced Kaptive Hero in onto the heels of Deadly Choices resulting in Kaptive Hero being checked for several strides. Thomas Sadler had his licence to ride in races suspended for a period to commence at midnight July 8th and to expire at midnight August 7th, a period of one calendar month and is to be served concurrently with his careless riding suspension.